Pagan warriors Helsott have released a new lyric video for the track “Winter Smells Like Death” from the band’s current album “Slaves and Gods”. The song features a collaboration between members of Helsott and the Russian Folk Metal band Arkona, whose singer Masha Scream (who also contributed keyboards) and guitarist Lazar appear on the recording and who were also involved in the writing. Withered Moon’s Bjorn Friedrichsen plays bass. While many guests appear throughout the songs on “Slaves and Gods”, “Winter Smells Like Death” is a personal favorite for the band as they are huge fans of Arkona’s work and became friend’s during a tour together in 2015, along with Heidevolk, and had the pleasure of touring together again late last year as part of the Arkona / Korpiklaani tour. As our shows in Europe approach we want to give tribute to lady winter in the most epic way possible. We are very proud to present this collaboration between us and our dear friends Masha and Lazar from Arkona. Cooper (Dustman – drums) arranged and recorded the drums, I wrote and recorded my vocal parts, Masha wrote the guitar and her vocals, Lazar recorded the guitars, and our friend Bjorn laid down the bass. This song will always be special to me and I can’t thank Masha, Lazar, and Bjorn enough for their contributions. Once again, we tapped our good friend Raf Ortega (Sicocis, Ayreon, Subterranean Masquerade) to make the lyric video and together we give you… WINTER SMELLS LIKE DEATH! 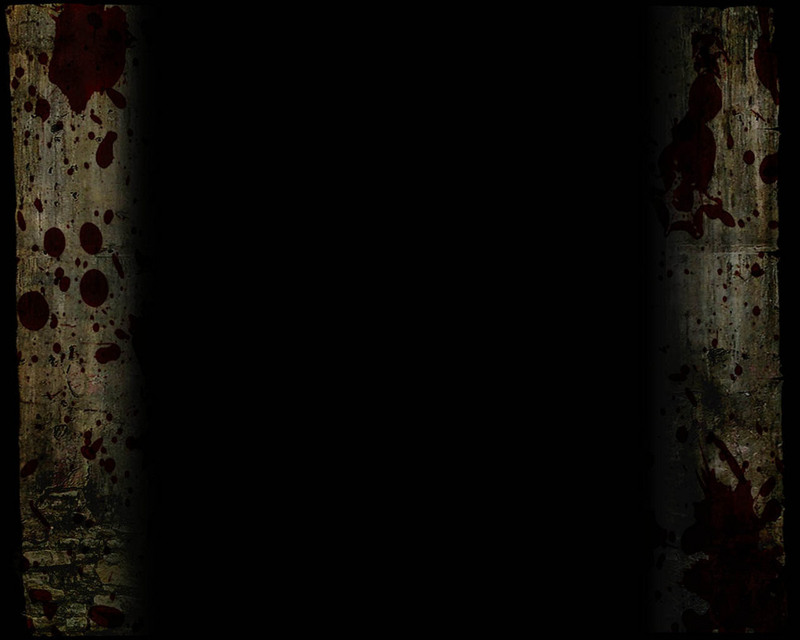 Check out the official lyric video for song “Winter Smells Like Death” below. This weekend Helsott will perform alongside Arkona again as the two bands appear on Germany’s Wacken Winter Nights (with Turisas, Korpiklaani, Eluveitie, Trollfest, Serenity, and new roster mates Cemican). In addition, Helsott will play France’s Cernunnos Pagan Fest (with Finntroll, Manegarm, and others). This is the band’s second trip as Helsott toured Europe in 2017 supporting I Am Morbid and Necrophagia. We can’t wait to return to Europe! We are very proud to take part in these festivals. They both have amazing lineups and are going to crush! 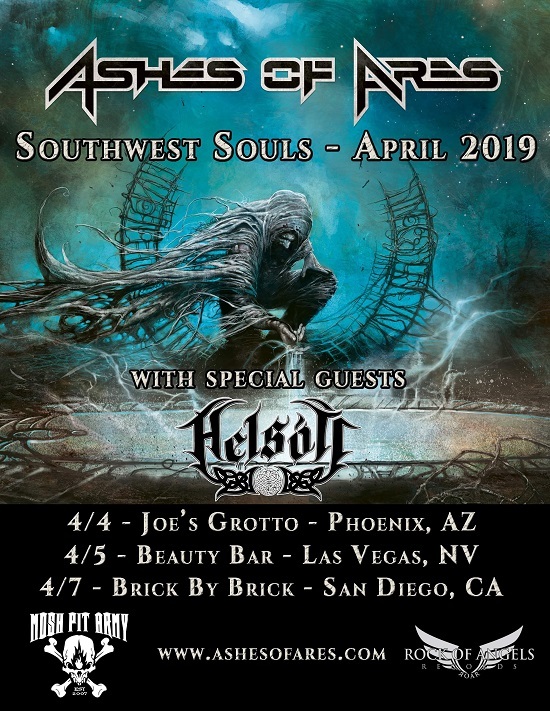 In April, Helsott will then embark on a West Coast mini-tour with Ashes of Ares, the new band of former Iced Earth members Matt Barlow and Freddie Vidales. The group has also announced a special guest headlining performance at the Wacken Metal Battle California Finals, which will take place at Hollywood’s legendary Viper Room on the 11th of May. Check out the flyer below!